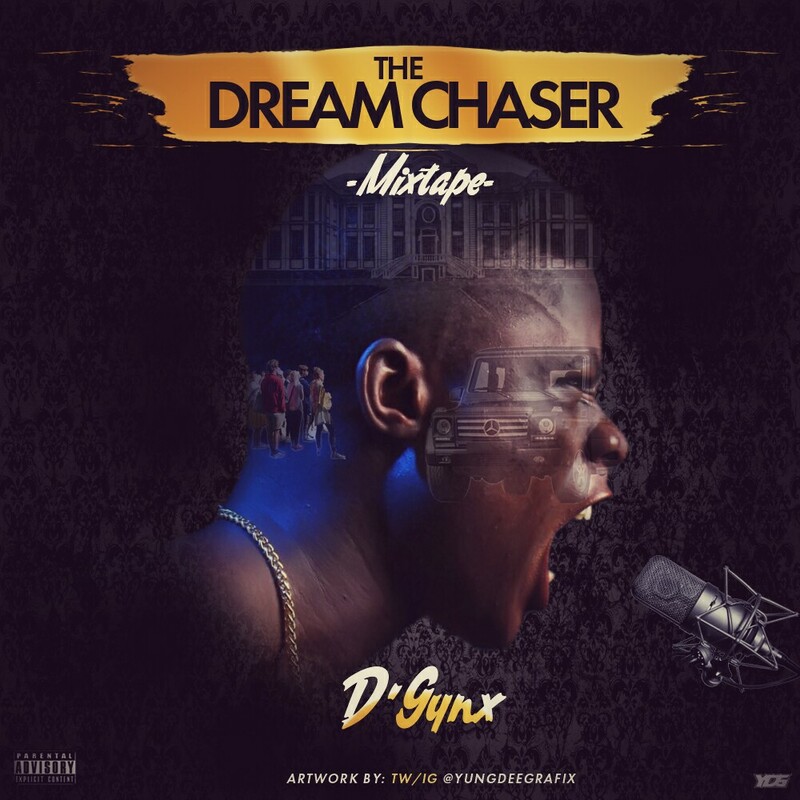 New kid on the block D'gynx is set to blow you away with his first ever mixtape as he attempts to make his mark with his debut 8 track project. The talented music sensation is relentless in his journey to take over. Download and enjoy the efffort from him below. Dgynx who has been in the music Industry for over a year now recently performed live at the D'Good, D'bash and D'Funny last week Sunday at the Muson Center in Lagos. He also shared Photo of him and Nigeria's Popular Comedian Seyi Law taken a Selfie backstage. "Don't u Stop Being dat person wen u on stage...u'V Got Future"